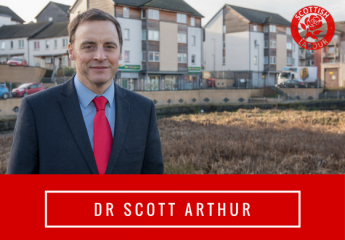 Let’s make the Edinburgh City Deal for the many, not the few. Winning the Edinburgh City Region Deal is a huge achievement. Great credit for this must go to Labour’s Andrew Burns for leading the bid and Edinburgh’s Chief Executive, Andrew Kerr, for his vision. If truth be told, however, Edinburgh hoped for more. Edinburgh deserved more. It was hoped that the City Region Deal would be worth over £1.5b, instead the SNP and Tory Governments each gave our Capital City £300m. Whilst £600m over 15 years is very welcome, it has to be placed within the context of the year-on-year cuts inflicted on Edinburgh and its people by the SNP and Tory Governments – this amounts to hundreds of millions. How many of the families falling into poverty due to those cuts will be seated alongside Nicola Sturgeon and Theresa May at the opening night of their new £20m Concert Hall in St Andrews Square? Furthermore, back in May we heard, without a whimper of opposition from Edinburgh SNP, that the Scottish Government had decided that the City Deal would not fund the tram extension. We now find, however, that it will fund a £120m upgrade of the City Bypass. This neither falls within the remit of the region’s councils nor, I understand, was it part of the City Region Deal bid. The SNP Government is arguably short-changing Edinburgh by making the already planned upgrade of Sheriffhall Interchange part of the deal simply to inflate its finances. Nonetheless, the support for building more homes is very welcome indeed. I’ll be arguing that as many as possible of these homes are affordable – and I mean genuinely affordable. They must also be energy efficient, sustainable and set within developments which have consideration for active transport at the core of their design. Above all else, we must have adequate infrastructure to support them – schools, GPs, etc. Let’s make those homes the Edinburgh City Region Deal legacy, not the black tarmac of the upgraded bypass or the glittering chandelier of the Concert Hall. Let’s make it for the many, not the few.